How Much Do Optometrists Make? As mentioned above, answering the question “how much do optometrists make” requires a bit more than just a general overview, so let’s dive a bit deeper to find out what an optometrist salary looks like for different scenarios. 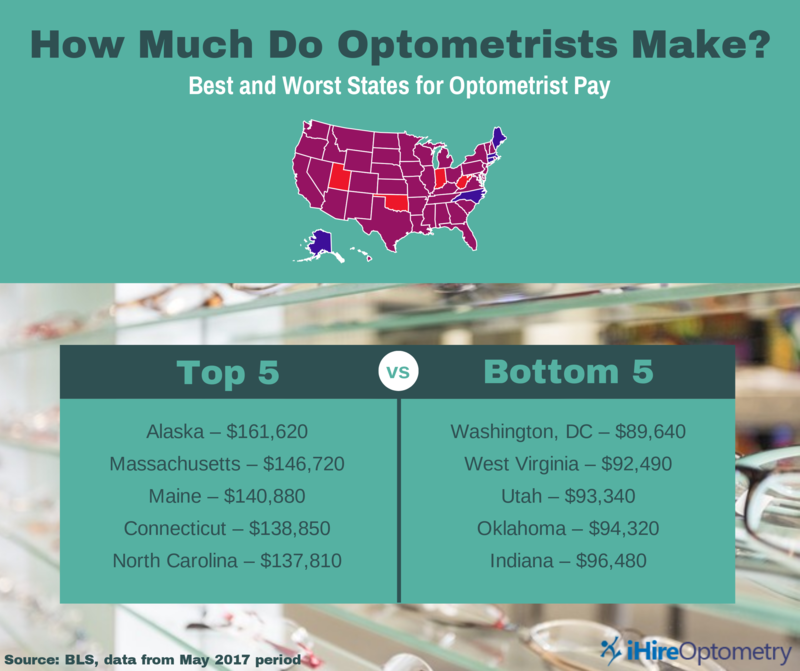 According to the BLS, the lowest optometrist starting salary is $53,740 (still much higher than the median salary across all occupations, which is $37,040). Professionals in this category constitute the bottom tenth percentile for eye doctor salary. 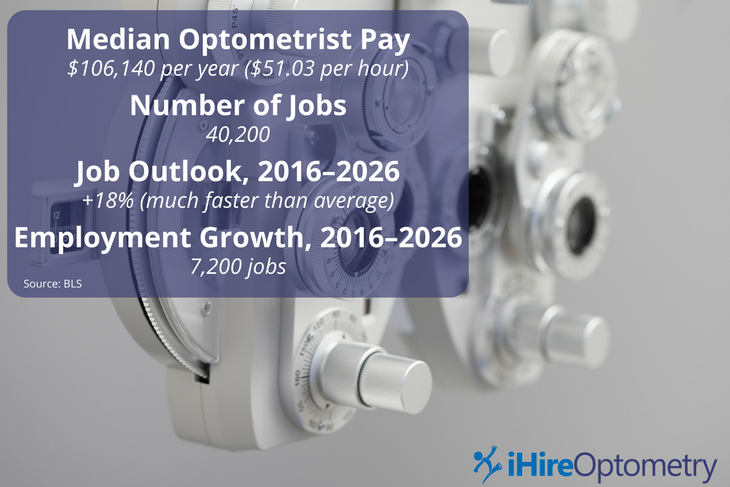 Moving up the career ladder, junior to mid-level optometrists can expect to earn at least $83,460 per year while senior optometrist pay can exceed $136,270. The most successful optometrists in the US can command salaries of $190,000+. With robust earning power, healthy job prospects, and strong indicators of continuous growth, the role of optometrist is a great career path to pursue. In fact, US News and World Report placed it at #18 in their list of Best Health Care Jobs and CNN ranked optometrist at #12 on their Best Jobs in America list. If you have a passion for eye care, the first step to launching your career is completing your optometrist education. Then you can find out for yourself how much eye doctors make and begin earning your optometrist salary with one of the hundreds of job openings found on iHireOptometry!